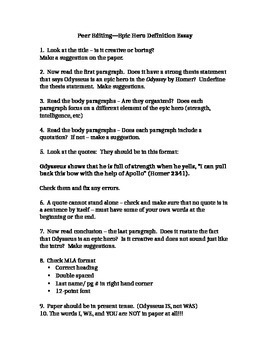 I use this assignment with my 9th grade students after reading the Odyssey. 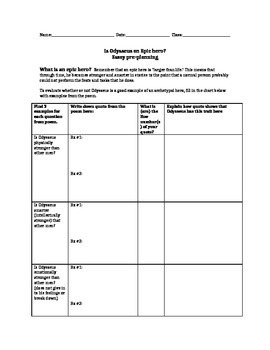 We discuss the qualities of an epic hero (included in assignment) and then look for examples from the text to determine whether or not Odysseus shows the characteristics of an epic hero. 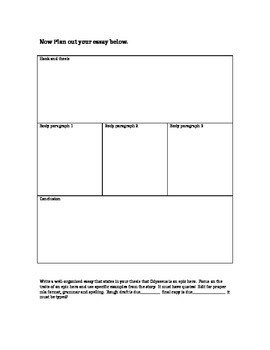 The students then use the included graphic organizer to plan their essay. This is a good assignment to help students analyze a character and to use the text to support their point of view. I've also included a rubric for grading.